Paul Manafort had “a huge dumpster of hidden money” abroad, a prosecutor said yesterday, urging a jury to convict the former Trump campaign chief on financial fraud charges based more on a paper trail of evidence than the testimony of a former protégé. Special Assistant US Attorney Greg Andres gave his closing statement in federal court in Alexandria, Virginia, where Mr Manafort is on trial on tax and bank fraud charges, along with failing to disclose foreign bank accounts. The trial is the first to come out of Special Counsel Robert Mueller’s investigation of Russia’s meddling in the 2016 presidential election. The charges involve tax and bank fraud, not possible collusion between Russia and Donald Trump’s campaign for president. A Manafort conviction would undermine efforts by Mr Trump and some Republican lawmakers to paint Mr Mueller’s Russia inquiry as a political witch hunt, while an acquittal would be a setback for the special counsel. The star witness against Mr Manafort has been viewed as Rick Gates, his former right-hand man, who was indicted along with Mr Manafort but pleaded guilty and agreed to co-operate with the government. The defence has portrayed Mr Gates as a lying thief who had his hand in the “cookie jar” and was only trying to reduce his own sentence. Mr Andres argued that while Mr Manafort did not “choose a boy scout” as his associate, Mr Gates’s testimony was corroborated by other evidence, including nearly 400 exhibits. “The star witness in this case is the documents,” he told the jury. “That wasn’t a cookie jar,” he added, referring to the tens of millions of dollars Mr Manafort had overseas. Prosecutors say Mr Manafort (69) tried to mislead bankers with doctored financial statements in 2015 and 2016 to get loans and wilfully failed to pay taxes on more than $15m (€13m) that he earned as a political consultant in Ukraine. Mr Andres said Mr Manafort, a veteran Republican political operative, “lies on his tax returns and lies to bank after bank after bank”. Defence lawyers decided not to call any witnesses in the trial, and Mr Manafort himself will not testify in his own defence. Mr Manafort made millions of dollars working for pro-Russian Ukrainian politicians before he took an unpaid position with Mr Trump’s campaign. He was on the campaign team for five months and led it in mid-2016 when Mr Trump was selected as the Republican nominee for the presidential election. Prosecutors say Mr Manafort hid money in offshore bank accounts and then used it to pay for more than $6m in New York and Virginia real estate, items such as antique rugs and fancy clothes, including a $15,000 jacket made of ostrich skin. Mr Manafort has been charged with tax and bank fraud as well as failing to disclose foreign bank accounts. If found guilty on all charges, he could face eight to 10 years in prison, according to sentencing expert Justin Paperny. 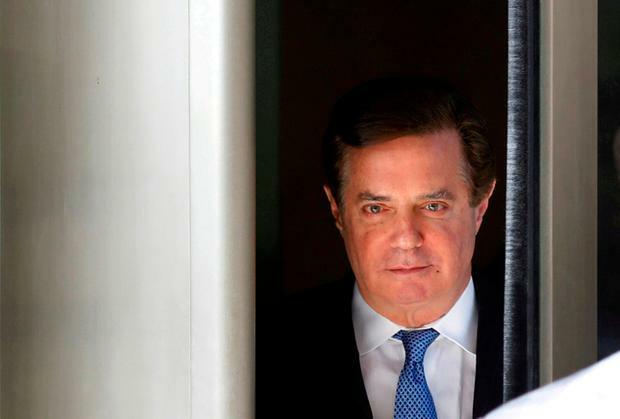 The closely watched case was expected to go to the 12-person jury late yesterday, after Mr Manafort’s lawyers made their closing arguments and the judge issued instructions to the jury. The court experienced one of its most crowded days during Mr Manafort’s trial, with a long line of people waiting to get in and others seated in an overflow room. Attorneys Kevin Downing and Richard Westling were likely to deliver their closing arguments for the defence and argue that Mr Manafort did not intentionally engage in wrongdoing. They were expected to say Mr Manafort was busy working and trusted his affairs to others.